I’ve always been intrigued by the Bard’s choice of wife and in particular by their age difference, Shakespeare was, in fact, 8 years younger than Anne Hathaway. You may say 8 years is not that much, having a toy boy as partner or husband has become quite common (Mr Run is 7 months younger than me, should I call him so?) . Think about Macron’s wife, for example, a gap in years where the woman is the older one may be considered even fashionable today. Today; but 500 years ago, when the benefits of plastic surgery, Botox, hyaluronic acid, derma rolling etc. were still unknown, women were left defenseless from the first attacks of aging. The passage from being a blossoming flower to a withered rake was faster than today. So, why did he marry a woman much older than him? Was it for love? Whatever the option may be, the bard did marry Anne Hathaway, eventually, and they had three children, but I like to imagine that the Bard’s pangs of love for the lovely Anne Whateley from Grafton were the sparks which lighted up the fervid imagination and creativity of the poet. After all, isn’t it sorrow the best nourishment of art? I’m a shopaholic. I’ve learnt I suffered from this disease, when I first read the whole Kinsella’s saga about shopping. Whoever thinks it is all about fashion addiction, he may prove wrong, as, actually, it’s all about the thrill. The thrill of finding and owing the perfect pair of shoes or bag, which matches wonderfully with the perfect outfit. It is that thrill. And for the sake of that emotion we lie first of all to ourselves and to the people we interact daily, saying that we do need it, that we cannot do without it and, of course, it will be just the last time. I will not be so. 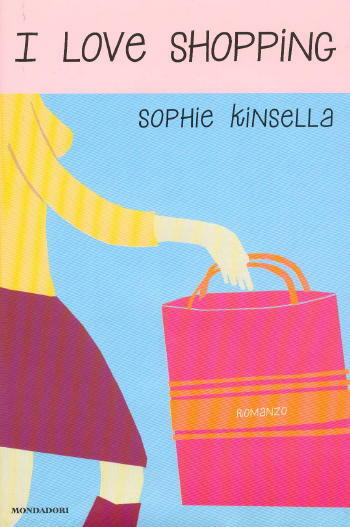 The psychological traits of Becky, Sophie Kinsella’s heroine, may seem absurd and comic at the same time, but they are actually real, so real that when my mother read “I Love Shopping”, she commented reproachfully :” it seems she knows you”. However, in the opulent western societies the word “need” is not exactly what it meant years ago, as the powerful messages and stereotypes, we are bombarded with through medias every day, confound us to such a degree, that we find hard to distinguish the difference between what we want and what we need. Do I really need that brand new pair of shoes, the 85th pair in fact, or do I want it? Can I truly live well without the last technical gadget? Do I really need it? We slowly become addicted to that intense but short emotion of possessing the thing of our dreams and as soon as that moment of pleasure and satisfaction burns out, we need to replace it quickly with another one even stronger that might fill the emptied space of our soul and on, and on, and on. Till nothing will be able to satisfy us one day. Just like that iguana. Which iguana? I guess you would say, in case you ventured to read this post this far. Well, few years ago I made a fantastic trip down to Costa Rica. 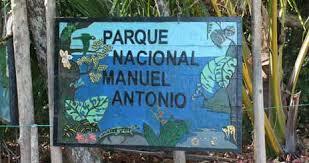 We drove along the Pacific coast, till we reached the most renowned national park of the country: Manuel Antonio. 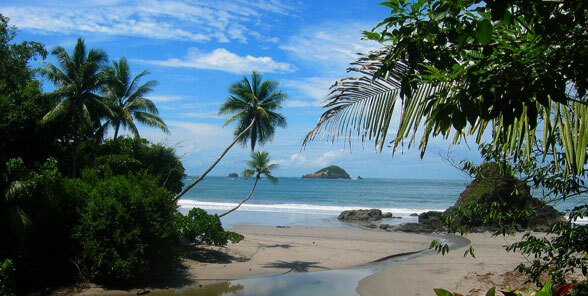 The scenery was breath-taking: tropical white sandy beaches surrounded by a luxuriant, wild nature. We decided to explore it all in the quest of the most beautiful beach. It was August, so after an hour of walking under the heat of the sun of those latitudes, we were so sweaty and worn out that we decided to stop. The nearest beach was named “Puerto Escondido”, well, it wasn’t actually the most dazzling one we had seen, furthermore, the sea bank was mostly inhabited by hundreds of huge colorful crabs and iguanas, but we were so tired that we resolved upon stopping anyway. When the crabs sensed our approaching steps, they instantly disappeared in the sand, leaving large holes in the shore, but the iguanas didn’t move. They stood there not at all intimidated by our presence. After a refreshing swim, we lay down on the beach to rest and sunbathe. 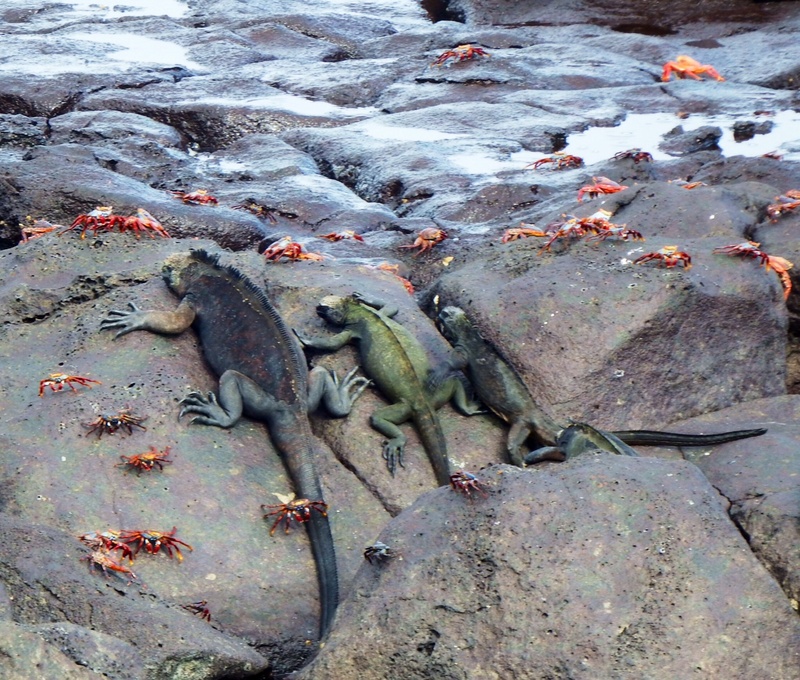 The iguanas had kept on observing us motionless like greenish prehistoric statues. After a while, I decided it was high time to fraternize with the hosts of that secluded place using the universal language of food. As I had some Pringles with me, I approached the nearest iguana and I handed delicately one crisp. After some long seconds of immobility, the inanimate creature attempted a move, craned its neck, smelt the Pringle and gave a small bite. I regarded it a great success.The iguana devoured the first, the second, the third crisp and seemed to be wanting for more. I was very proud of my experiment, but a French tourist, who had seen the whole scene, came by and told me, well….he actually lectured me, that iguanas are vegetarian, that they are not used to salt and that with my “feat” I was destroying their sense of taste. Once tried those strong artificial flavors, they wouldn’t have gone back any longer to their usual, now tasteless, food. I was mortified and instinctively hid the body of crime behind my back. He, then, went away and, of course, I didn’t dare give another Pringle to the poor iguana, which kept on imploring me with its eyes for some more. However, every now and then the words of the French tourist echo in my mind and I have come to the following conclusion: we are nothing but the iguanas of a society that feeds us with artificial emotions, thus creating addiction for the sake of profit. And you know what? Even if now I am fully aware of it, well, it won’t be enough to cure my addiction. No, it won’t, that’s the problem. Whenever I travel abroad, I never go for Italian restaurants. Not any more. First of all because I enjoy tasting the typical flavours of the countries I visit, those surprising combinations of food I would never think of at home, secondly because I have never been able to find a decent one, only bad copies and so I gave up. What lacks in the majority of Italian restaurants abroad is the real Italian thing. Even something elementary like an espresso is never like what it tastes at home – not even the five-pound Lavazza cup of coffee at Harrods was close to the original one – it is not a matter of water or the quality of coffee, but rather it is a matter culture. Yes, culture, because food is an expression of cultures. Every dish is the final product of cooking rituals transmitted from generations to generations, gestures that date back in time. That is why it is difficult to reproduce a recipe of another country faithfully, even a good cup of tea, unless you understand it fully and you become sensitive enough to perceive its many nuances.That is culture. I still remember the dexterity my mother prepared home-made tagliatelle, those precious movements that she had learnt from her mother and grandmother. I have seen her so many times, that if I would venture to make them myself, I would know what to do: the doses, the correct thickness of pasta layer ect., as it is part of my culture. The point is that the majority of those restaurants, which pretend to be Italian, keep in their menus recipes which are not Italian at all or have contaminated the original ones with the more familiar flavours of the countries they have their business, just to please and attract new customers. For example, only abroad I have learnt about the existence of an Italian recipe called “Tagliatelle Bolognese”, that is tagliatelle with a thick ragout, but actually no Italian would associate the word “Bolognese” to that dish. And what about the famous “Fettuccine(i) Alfredo?” Fist of all, who is Alfredo? This “Italian” recipe is well-known mostly in the States, but completely unknown here. It actually reminds those typical dishes in fashion in the late eighties: pasta, 3/4 types of cheese and cream – in the eighties cream was very fashionable – . As far as I can imagine, as I have never dared experience such a delicacy, if you don’t eat it quickly, it might turn into concrete in a few seconds. So if you come here having in mind to order a good portion of “Fettuccine Alfredo”, this is the wrong country, you have to go back from where you started very likely. Another point to be discussed is pasta cooking time. Here in Italy we enjoy it “al dente” that is a minute less that the indicated cooking time, even two if you come from the South, but whenever I used to order it abroad, it was always overcooked if not creamy. Just disgusting. Yet, cooking pasta Italian style shouldn’t be that difficult: when the water boils, add some salt, put the pasta in the pot, wait for the indicated time, better a little less and that’s it. And would you like to know what is tastiest truly Italian pasta recipe ? The simplest one. Just few steps. Blanch some fresh plum tomatoes to remove their skins and then cut them in half lengthwise to scoop out the seeds. Afterwards chop them and set them aside in a bowl. Heat some good olive oil in a skillet pan, add a couple of cloves of garlic and let them brown slowly. Then add the tomatoes you had prepared beforehand, a pinch of salt and take the garlic out. While the sauce simmers, heat the water for the pasta. Cook the spaghetti and drain them, when it is time. Add the pasta to the sauce and cook over medium-high heat until all the liquid is absorbed and the pasta is al dente. You may add the pasta cooking liquid if necessary. As last step, remove the pan from the heat; add some extra-virgin olive oil, few leaves of basil, parmisan or pecorino cheese. Just delicious and Italian. And remember, less is more ! !